Last month we wrote about the popular iPhone game ‘Angry Birds’ being turned into movie and toy form. 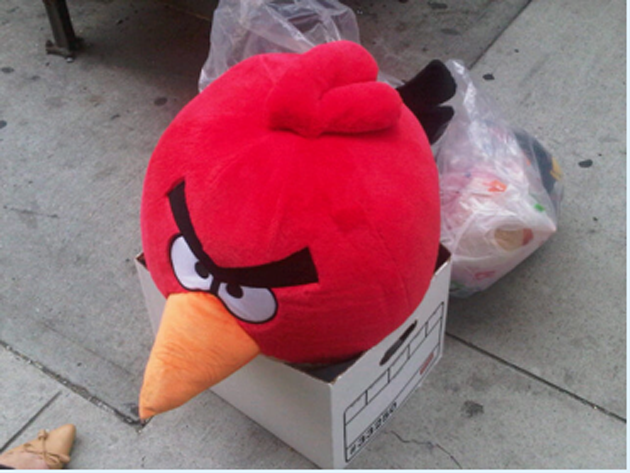 Today TechCrunch reader Joe Ziemer reports that he passed a woman in NYC with a box of ‘Angry Birds’ stuffed toys at her feet and snapped the pic above. The explanation? Turns out she works for the manufacturer. And, according to the Ziemer, she hinted that they’d be in stores come early 2011.